Trout Lake Lodge has been owned by Jack and Heather Green since 1989. 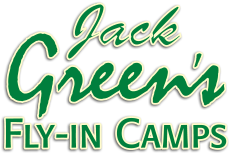 Jack has been in the family business, Green Airways Limited, since 1950, which is known across North America for its service and reliability. 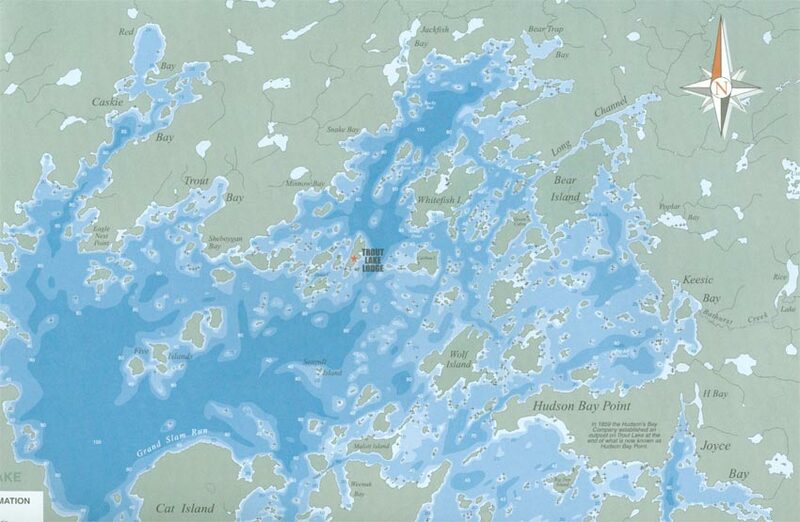 Jack’s dedication to the sport of fly-in fishing has put the Red Lake area on the map for its world class Walleye, Northern and Lake Trout fishing. Having met numerous fishermen flying in and out with his fleet of bush planes, Jack knows what today’s fishermen expect from a quality fishing trip. Since purchasing Trout Lake Lodge, Jack and Heather have developed it into a clean, luxurious, well equipped, fully modern facility. 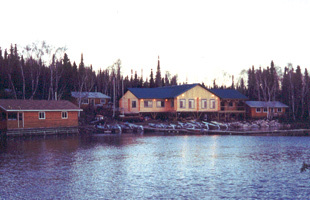 Trout Lake Lodge is 30 air miles from Red Lake. We fish on a chain of 3 lakes: Trout Lake, Otter Lake and Little Trout. 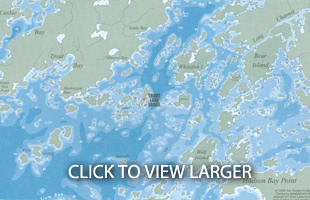 Trout Lake is 86,010 acres in size, Otter Lake is 4,893 acres, and Little Trout is 9,047 acres for a total of 99,950 acres of fantastic fishing. All three lakes are full of channels, weed beds, bays, reefs and drop-offs, all with crystal clear, pristine waters. Trout Lake alone has 383 islands on it. These locations will provide a diversity of fishing experiences. Without a doubt, it is a world class fishery. 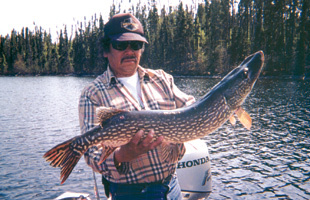 Large Northern, Walleye and Lake Trout are our claim to fame. With hundreds of weed beds, Northern are found everywhere. For spring fishing, Walleye are generally caught in the shallow bays in depth ranges of 6 to 12 feet. Whereas, summer and fall they will be found around the numerous islands in the 20 to 40 ft. depths. The lake is spring fed, keeping the water clear and cold all year, maintaining a healthy environment for the Lake Trout. There is no need to go to Canada’s northern extremities to catch large Lakers, when we have them here. Trout Lake’s record Lake Trout is 55 lbs. All guests are flown in by Green Airways Limited, out of Red Lake, Ontario. It is one of Canada’s safest airlines. We have 8 fully modern cabins, 6 of which are American Plan and 2 for housekeeping. Each cabin has a 3 piece bathroom. All beds are firm, twin beds. Our large silent generators run 24 hours a day. We have radio telephone communications from Trout Lake Lodge Ltd. to the outside world. Our tackle shop specializes in baits known to work well on our lakes. Our guides are experienced responsible outdoorsmen. We have been very privileged to have a wonderful, hard working lady on staff, Nettie the cook. Some think she is our greatest asset. Her culinary talents have pleased all of our guests night after night. The home cooked meals are a big reason why many fishermen continue to come back year after year. There are 5 things people expect when they go on a fly-in fishing trip. They are: good fishing, good service, good equipment, good accommodations and good meals. All of which add up to a GOOD TIME! We have it all.